We welcomed the newest members of the Columbia alumni community this week. Congratulations to the Class of 2016! We asked your fellow alumni from the Columbia Career Coaches Network to share their best post-graduation career advice. Read their valuable words of wisdom here. Fifty years ago, a graduate student named Walter Pitman '67GSAS made a discovery that would change the way we see our planet. 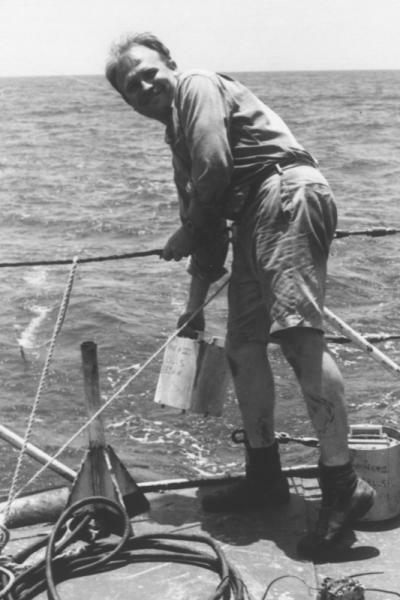 Pitman was reviewing charts of ship data that had just come off the computer at what was then Columbia University's Lamont Geological Observatory. The ship, the Eltanin, had crossed a mid-ocean ridge—part of a 40,000-mile undersea volcanic mountain chain that encircles the Earth—while recording the magnetic alignment of the rocks in the seafloor below. Pitman suddenly saw symmetry in those recorded lines, with the mid-ocean ridge as the center point. That symmetry was the smoking gun that confirmed the theory of seafloor spreading and set the stage for our understanding today of plate tectonics. Listen for more in our fascinating Low Down podcast on the topic. From a playwright taking brain science to the theater, to a doctoral student tackling the public health implications of youth football, the newest Columbia alumni are reaching new heights. Here's a look at the amazing things they're accomplishing. 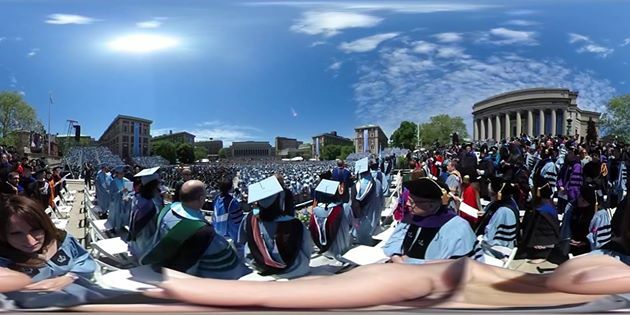 At this week's Commencement we went 360! Check out this unique perspective of the ceremony, captured by CAA President Donna MacPhee '89CC.